Age Discrimination in the Workplace research papers look into the type of discrimination that targets seniors. In 1969, Robert Neil Butler coined the term “ageism” to describe discrimination against seniors, which, like sexism or racism, is a demonstration of prejudice against a person. In the case of ageism, such discrimination is based on a person’s age. While originally applied only to older people, the term has expanded to include discrimination against adolescents. 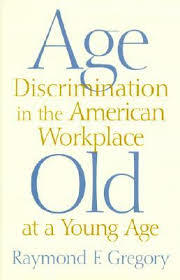 One of the primary forms of ageism is discrimination in the workplace. Age discrimination seeks to limit or deny opportunities to people based on their age. Many people, especially employers, simply believe that a person is too old (or too young) to engage in specific activities require for the completion of a job. Age discrimination in the workplace frequently results in unequal pay levels. For example, minimum wage laws are frequently codified forms of ageism, permitting employers to pay younger workers less. Age discrimination in the workforce affects older workers too, as many employers seek to impose layoffs or early retirement for workers who, having achieved levels of seniority, earn more salary and benefits than a younger worker. Recent studies suggest that companies are more than 40% more likely to hire a younger worker than an older applicant. Age discrimination can have serious consequences. In 2006, the Equal Employment Opportunity Commission processed 17,000 complaints of age discrimination, in which filers ultimately received more than $50 million in settlements. Female Discrimination research papers include workplace bias and other sociology issues. Diabetes in the Workplace Discrimination has been steadily increasing and many people are being denied jobs. Paper Masters writes custom research papers on Age Discrimination in the Workplace and look into the type of discrimination that targets seniors.